Uncle Jumbos Christmas Party brings the festivities! 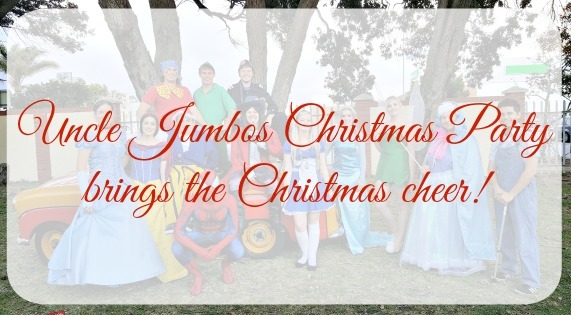 Every year Nelson Mandela Bay kiddies (and their parents) gear up for Uncle Jumbos Christmas Party – a fun filled evening of make believe and Christmas activities. This year our curly girl visited Uncle Jumbo and his friends for the very first time and she had so much fun! The Uncle Jumbos Christmas Party tractor picked us up at the gate and we were transported to fantasy land (aka the other side of the field) where a magical castle and bouncy clowns await. The atmosphere was charged with excitement (I mean, hello, magical castle) as we found our spots in the grassy arena next to Ella (JustEllaBella) and Aidan. Curly seemed pretty content except for the fact that she doesn’t do “sit still” very well right now. Fortunately, kiddies are encouraged to interact with Uncle Jumbo and his special friends and they are given free reign of the area. 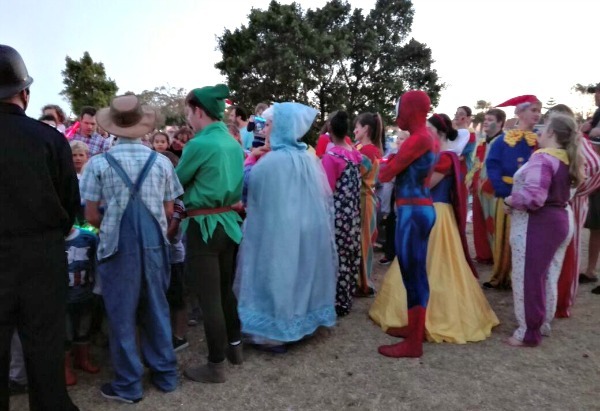 One by one beloved story book and silver screen characters came out to play. We met Elsa (Frozen) and a few Disney princesses. Curly was most impressed with Spiderman… or “Eency Weency Spider” as she calls him. Other highlights was the visit from Noddy and the amazing Boys Brigade Band. The band had all the kids and parents en tow, marching around the field. So much fun! A few games and surprises later and it was time for an appearance by special guests Father Christmas and Tinkerbell! And yep, you guessed it, there were presents involved! (Hint: Parents hand the clearly marked gifts in at the door, upon entrance). Our kid was so pooped after all the running around and fresh air that she fell asleep pretty early. Score! 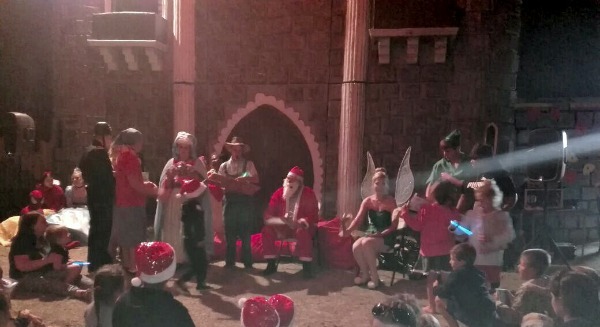 The Uncle Jumbos Christmas Party show runs from November 25th to December 11th at DF Malherbe High School. The show times are 18:30 to 20:30 on week days and 17:30 to 19:30 on weekends. 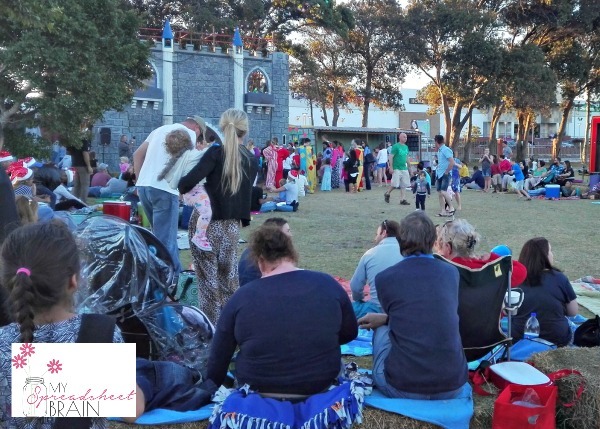 Tickets cost R50 for adults and R60 for children (aged 1 to 12). Kiddies receive a snack and a sweetie pack at the end of the night. All proceeds go to charity. 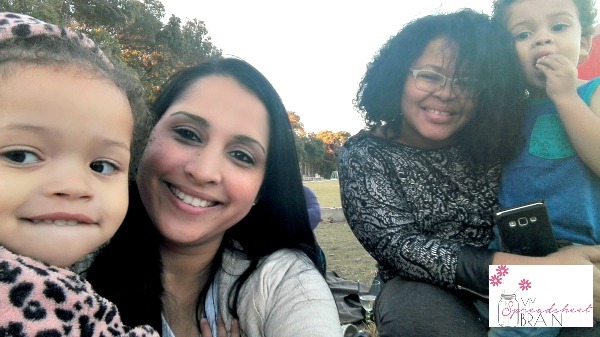 Even though it’s Summer, it gets pretty chilly when the sun sets, so bring some blankets and warm clothes for your little ones. Yummy food and drinks are on sale. You’ll want to bring extra money for glow sticks too and you are welcome to pack a picnic basket. Hey Luchae this brings back memories. I remember this at Happy Valley and it was a highlight. It is such great fun! We’re attending for the first time tomorrow. I hope the weather is good!